Take the time to enjoy the views. 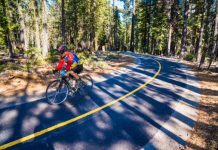 The climb from the shore of Lake Tahoe through Blackwood Canyon to the top of Barker Pass is a ride that is sure to entice any dedicated road rider. It’s really hard to beat the 7-mile pedal through Blackwood Canyon. 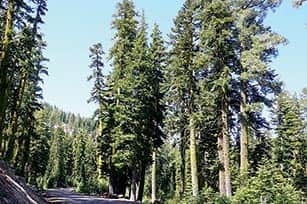 The ride starts 4½ miles south of Tahoe City on Highway 89 across from the lake and Kaspian Park (where you’ll find restrooms and water). The route is paved, but you usually see more bikes then cars, especially since it is one of the more popular rides in the area. 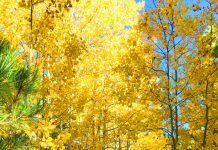 The first 2 miles are a gentle rise with mountain meadows bordered by aspens, and groves of pines and firs. As the road crosses Blackwood Creek, take a break. Not only to enjoy the view up the creek to Barker Pass, but, perhaps more importantly, because the steep 5-mile ascent to the pass is about to begin. Keep your eyes open to wildlife, like this Yellow-bellied Marmot. It’s worth the effort. Just stick it in low and enjoy the paint brush and thimbleberries lining the road as you slowly climb higher into the canyon. At mile 3.5 (paint stripes along the road mark the miles) an open viewpoint provides an another excuse to take a break. Here you find expansive views of Blackwood Canyon, the Pacific Crest and Twin Peaks, where Blackwood and Ward Canyons meet. Just after the 4-mile mark, you pass a steep slope where a few years ago a landslide wiped out the road, and then, soon after, you get a break with a few hundred yards of level terrain, before the climbing begins again. Blackwood Creek is a good spot to take a break. Between mile 5 and 6, the roadside is covered in wildflowers and you cross over several babbling streams. Now, at more than 7,000 feet in elevation, you see a change. The Jeffrey pines and white firs of the lower elevations have been replaced by a deep forest of mature red fir covered in lichen, and thick batches of dark green hemlocks that have tops that lean over like a wizard’s hat. Wildflowers are still blooming in some spots along the ride. As the pavement ends at the crest, you find the hiking trailhead for Ellis Lake and Peak. The Pacific Crest Trail (no bikes) is located another half mile further. Interested in a bike and hike? 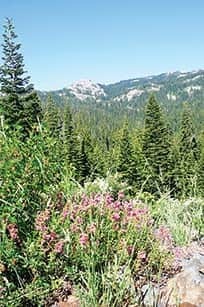 The Ellis Peak trail starts out steep, but in about a half mile levels off on the top of a ridge, providing views of Tahoe in one direction and the Desolation Wilderness in the other. Ellis Peak itself, which provides panoramic Lake Tahoe views, is reached in about 3 miles. 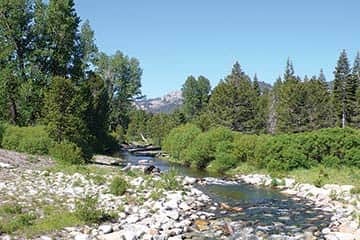 Interested in hiking the PCT? On it, 5 miles of walking to the north brings you to Twin Peaks. 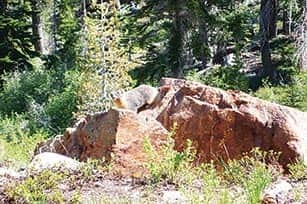 To the south, you would find miles of little-used trail before reaching Middle Velma Lake in the Desolation Wilderness in 15 miles. While there is about 1,400 feet of climbing to the top of Barker Pass, the ride to and from Highway 89 is only 14 miles. To increase your distance, start and end in Tahoe City, adding an additional 9 miles. You could also add the gentler climb up Ward Canyon, the next canyon to the north. It also gives you beautiful views of Twin Peaks, but with only 800 feet of climbing. The road surface on Ward Creek Boulevard (take Pineland off Highway 89 and follow the signs to Twinpeaks and then to Ward Creek), however, is much rougher than Blackwood Canyon. At the top of Ward Canyon, you ride through the Alpine Peaks subdivision before meeting the Sherwood Chair, and the backside of Alpine Meadows Ski Area. This jaunt up Ward would add 8 miles to your total. Tim Hauserman gave himself a road bike as a birthday present six years ago, and has been busy riding it ever since. 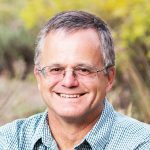 Blackwood is his go to, “I’ve got two hours to get in a great ride on the West Shore.” He also wrote the official guidebook to the Tahoe Rim Trail.